Here at Turnips 2 Tangerines we love egg rolls. 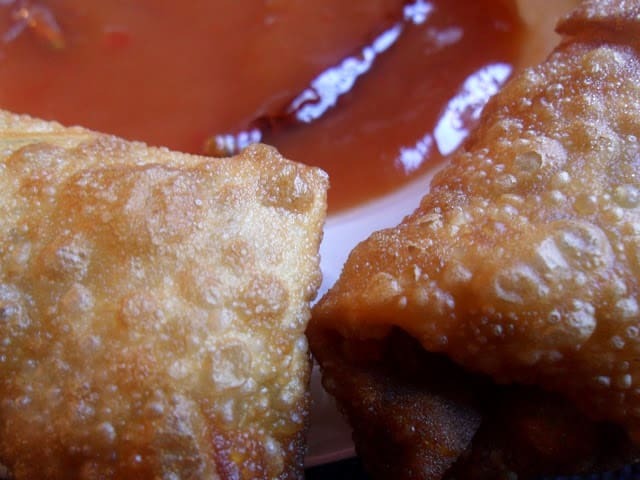 Nothing is better than fresh homemade egg rolls served with a delicious sweet-sour sauce. 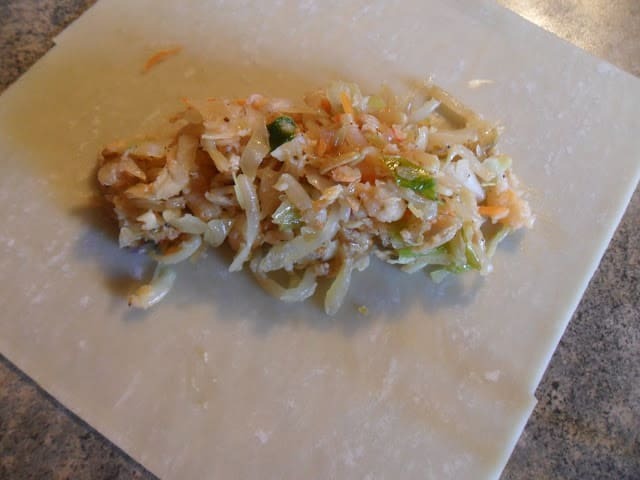 Shrimp Egg Rolls are made easy with convenient ingredients. 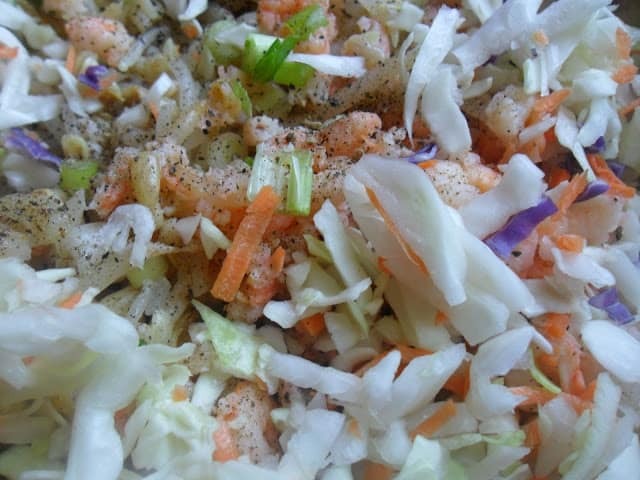 The egg rolls are made with canned tiny shrimp, canned bean sprouts, coleslaw mix and egg roll wrappers. Egg roll wrappers can be found in the produce section of most grocery stores, near the Asian foods section. 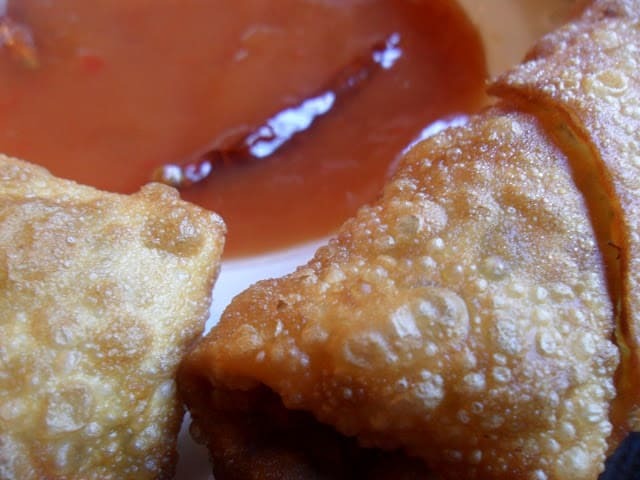 Shrimp Egg Rolls with Sweet-Sour Sauce are super delicious! I’ve never been much of a “sweet-sour” fan until I made this from scratch sweet-sour sauce. Most bottled sweet-sour sauces are overly sweet and not really all that sour in my humble, culinary opinion. The bottled sauce is a thick mess, of not very flavorful sauce….Don’t get me wrong, there are a few good brands out there that I do use on occasion, strictly reserving the bottled stuff for when a recipe calls for let’s say, 2 tablespoons. 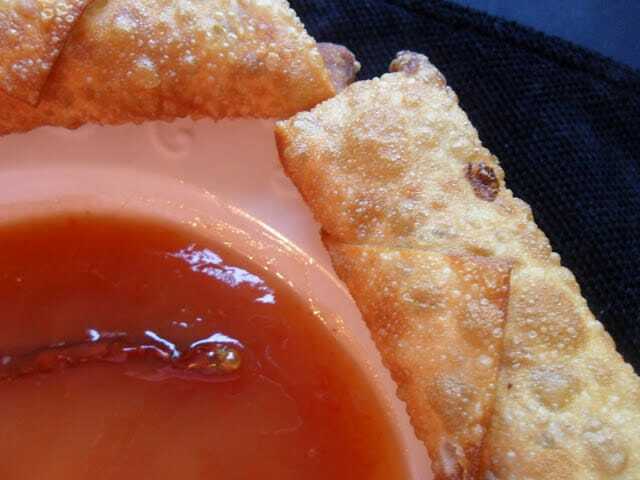 But, if your going to be “dipping” into a sweet-sour sauce, fresh is best. The freshness adds a nice yin to your yang. The recipe below is made with pineapple juice, white vinegar, ketchup, soy sauce and whole chili peppers. I listed cilantro as optional but I would recommend using it. Half of my family likes cilantro and the other half doesn’t, so use your better judgement on what your family likes. Does your family like haddock?? We surely do. Serve Crispy Coated Fried Haddock with coleslaw, french fries and homemade tarter sauce for a take on that true Wisconsin Classic, the Friday Night Fish Fry. Don’t forget ice cold bottles of beer or better yet, serve Brandy Old Fashioned. 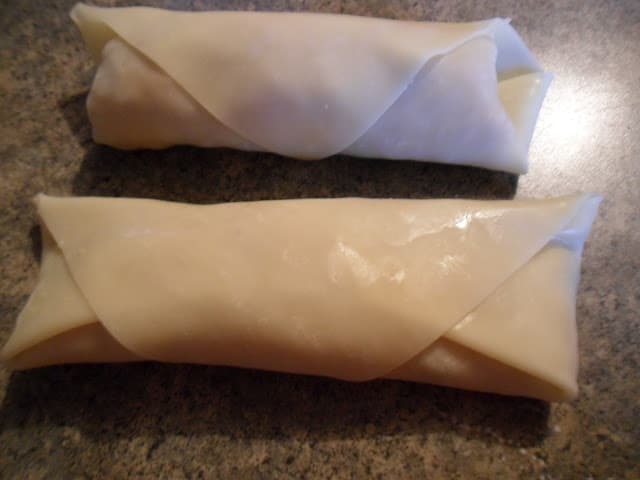 Making egg rolls at home is fun and easy. Not to mention delicious! For Sweet-Sour Sauce: Combine cornstarch, sugar, pineapple juice, vinegar, ketchup, soy sauce and dried chili peppers in a saucepan until smooth. Bring to a boil. Cook and stir for 1 to 2 minutes or until thickened. Remove from heat. Set aside. 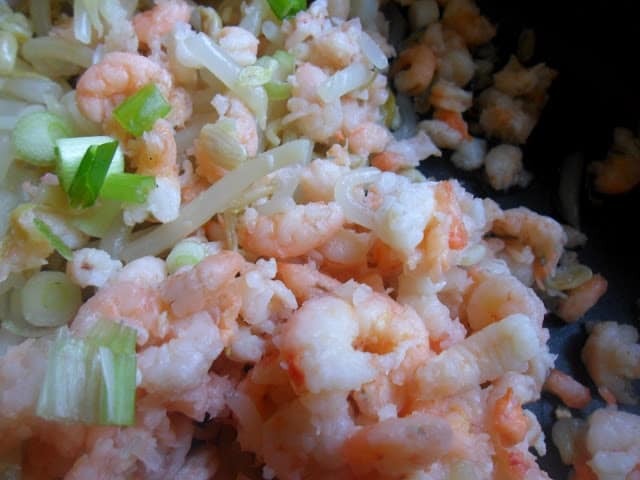 In a large skillet stir-fry shrimp, bean sprouts, cole slaw mix, and onions in oil until crisp tender. Stir in pepper and soy sauce. Cool slightly. 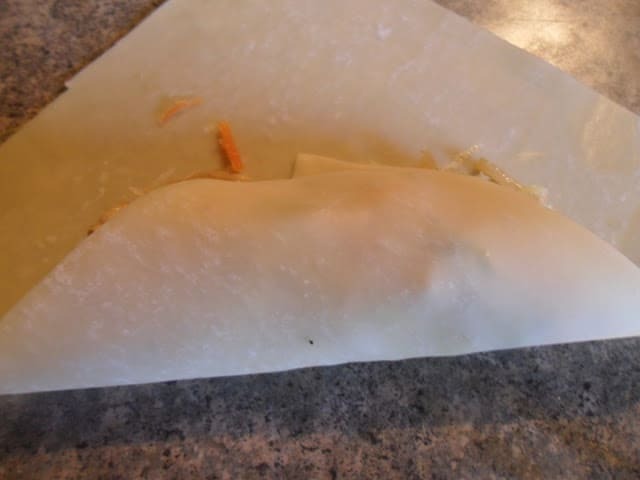 Position egg roll wrappers with a long edge facing you , spoon 1/4 cup of shrimp mixture on the bottom third of each wrapper, fold bottom over filling, fold sides over filling towards center. 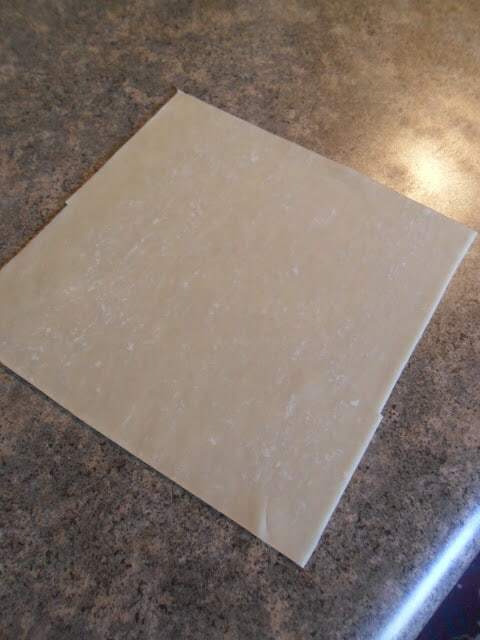 Moisten top edge with water, roll up tightly to seal. In a deep cast iron pan or deep fat fryer, heat oil to 375. 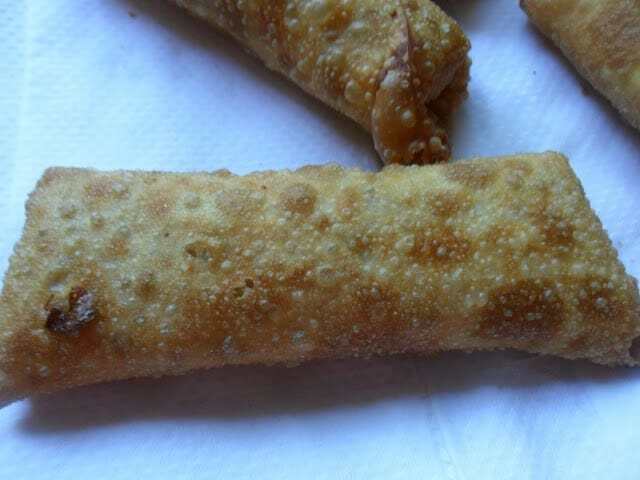 Fry egg rolls a few at a time, for 3 to 4 minutes or until golden brown. Drain on paper towels. Serve with sweet-sour sauce and cilantro. Still Hungry?? Give these a try: Pork Chow Mein and Honey Garlic Chicken. Your egg rolls look so good. Thank you for sharing with Foodie Friends Friday! Please come back this week. We have another great sponsor this week!